The last few years has seen V.C. Melyd travel to Spain for a weeks early season training boost (and a bit of sun), with Train In Spain. 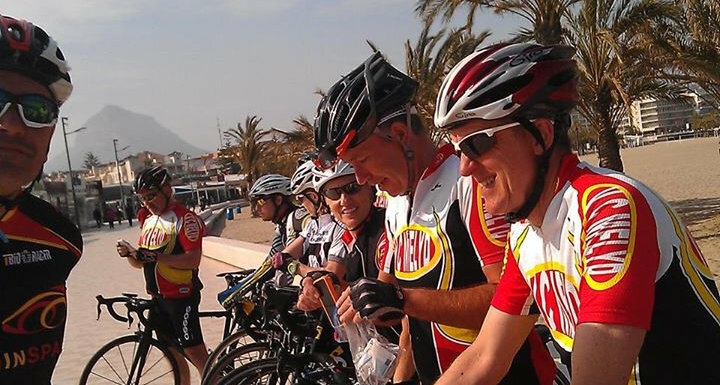 Last year we took a group of ten (Mark & Julie, John, David & Janet, Paul, Peter, Sally, Alan & Sarah) who we are pretty sure will testify to the quality of the riding and accommodation not to mention the programme of supported rides put together by John Patrick Fegan and his team. VC Melyd Train in Spain 2014 itinerary was full and well stocked. We are planning another for March 2015 – are you interested? Get in touch with the club – lets make 2015 even better.